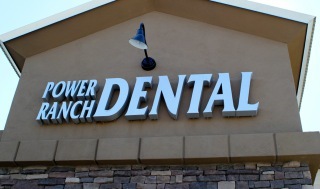 Dental Floss vs. Waterpik Gilbert AZ. Often times, people wonder if there flossing techniques or what they are flossing with is even effective. There are many different ways to get flossing into someone’s daily routine. However, some ways of flossing can be more effective than others. Standard dental floss is usually considered the most effective tool for cleaning all the tight spaces in between your teeth. Dental floss can also be used to scrape up and down the sides of each tooth. A water pick, or an oral irrigator, is a device that aims a stream of water between your teeth. A water pick helps remove food particles and can help reduce bleeding and gum disease. However, it is not considered as a substitute for brushing and flossing. If plain dental floss gets stuck in your teeth, you can always use the waxed floss line. If you have a hard time holding your floss, try using a floss holder. Other options such as special brushes, picks or sticks are designed to help clean between your teeth and one might consider using those. If you would like to learn more about flossing or would like to schedule an appointment, please give our office a call at (480) 988- 2282. We look forward to speaking with you! Thanks!